To begin with, let me explain what Project Pan means. It's a term mostly used in the beauty-blogging sphere & means "hitting pan" or using/finishing the product before buying another one. 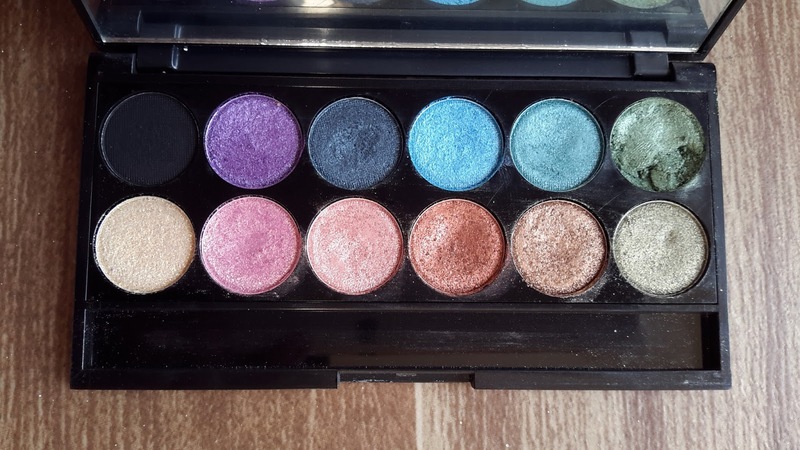 I have been at it for quite sometime now, but officially beginning it for 2017, with this post :-) Compared to skincare, Makeup products are a challenge to use to up, so I've selected only those this time. NYX Soft Matte Lip Cream in Adis Ababa - This was a git from my Sis-in-Law, M. She knew how much I loved the Miss Claire Soft Matte Lip Creams & thought I should try out NYX too. 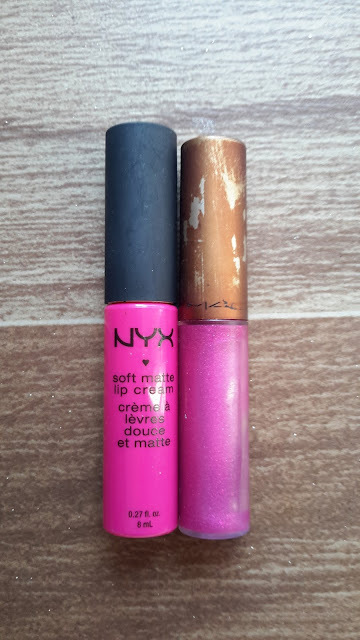 MAC Lip Glass (shade unknown) - I picked this up from a blog sale in Dec 2015. I used it for sometime and then somehow forgot about it. Lotus ColorKick Kajal - My favourite for quite some time now. Reviewed HERE. I don't know how but I now own 2 of these; I seemed to have picked this up on one of my random grocery shopping trips..so now I have 2. I'll work on finishing at least one. 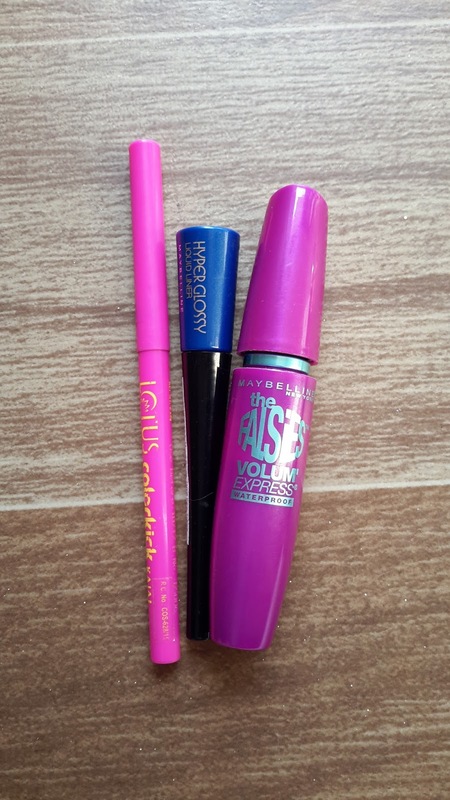 Maybelline Falsies Mascara (Waterproof) - I remember sending a text to Krupa, my fellow blogger & my friend, about this 5 mins after I applied it; I got THAT excited about it. I absolutely love this one. BTW - Did you know that Mascaras have a shelf life of only 3 to 4 months? Need. To. Finish. Soon. Maybelline HyperGlossy eyeliner in Electro Shock (Blue) - I saw this on my friend, T & just had to have it. It's a gorgeous electric blue liner & my reasoning with myself was - "It's BLUE!! I don't need to match this with anything. It goes with my blue JEANS!!" buahaha, don't ask me why I didn't show it any love later. Used some of the Neutrals; Bright shades used sparingly. 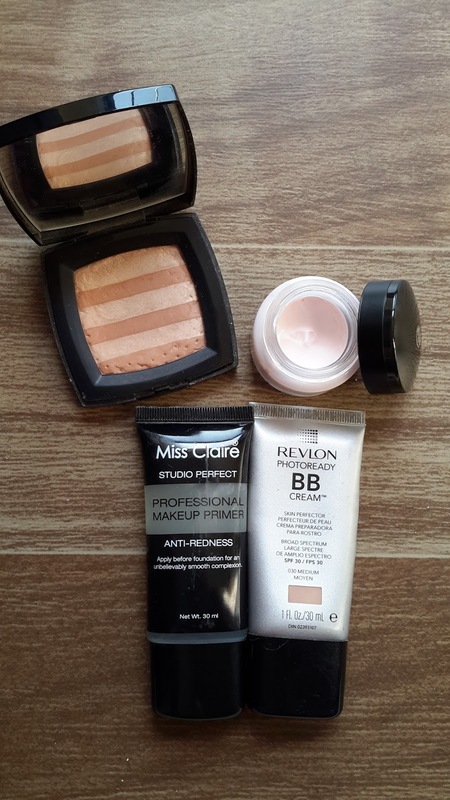 Revlon PhotoReady BB Cream in shade Medium - Bought it, didn't like it so didn't use it enough. I might have some ideas on how I can use this up. Watch out for an update post! Miss Claire Studio Perfect Anti-Redness Primer in 01 Clear - Don't judge. Honest mistake. I had misplaced it & didn't even remember having it. So, no more Benefit Pore-fessional for me until I use this baby up. Loreal Face Magique Transforming Smoothing Primer - Loved Pore-fessional so much that I didn't bother with this one. The Loreal primer is a great product & was my 1st ever face-priming product. This lil tub is my 2nd. I've also loved & almost finished the Nivea After Shave Balm - reviewed HERE. Speaking of primers, don't have an eye-primer? Read THIS. Chanel Illuminating Powder with Shimmer - My best bud, V gifted this to me. Hoarder that I am, I saved this gift up for special occassions. It does have finely milled shimmer but not so much that it can't be used on a daily basis. To make all this more exciting & fun, my blogger buddies, Krupa from IshtyleAWhile & Pankhuri from AddictedShades are also launching Project Pan on their respective blogs. We will be posting updates, every 6 weeks all the way up to 25th December 2017, which is our deadline for the project. See you in my next post, Ciao..!! Wow! All the best Preethy :-) So happy to know we're in this together!! Let's keep checking back so we keep each other on track ;-) What say?